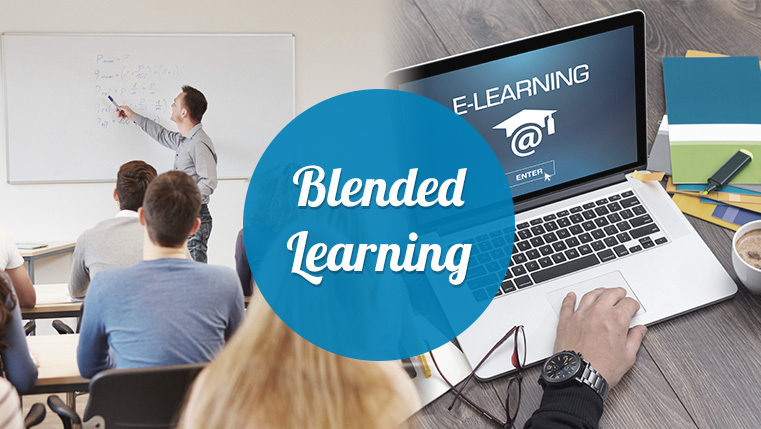 Blended learning has always been about bringing classroom training and online training together. There are times when a learner may not be able to attend a classroom training. Integrating smartphone-based modules to supplement in-person training seems to be a viable option during such situations. Mobile learning is the use of portable devices such as iPads, tablets, smartphones, etc., that allow teaching and learning to go beyond the classroom. Using mobile learning gives instructors and learners increased flexibility for interaction. Blended learning provides learners a comprehensive learning experience. It comprises the benefits of classroom training, along with flexibility and ease of eLearning. The goal is common for both – to make learners learn better. However, this goal can be achieved only when these two modes of learning are integrated in a proper manner and delivered. In this blog let’s look at 3 tips on how you can integrate mobile learning in classroom training. All these must be conveyed before learners attend the classroom session. When you give learners online material of a specific theme that will be discussed in the classroom, it gives them a general idea of what would be taught in the classroom. This subsequently cuts down the classroom time and makes learning more viable. For instance, if you were to introduce learners to a new product during the classroom session, you could send them the demo video of the product before the classroom session so that they are able to connect better with the subject. As the online material can be accessed by learners at their own particular time and pace, everybody will be up to speed during the session. Thus, self-paced learning can be furnished alongside clear instructor-led inputs that can help learners learn better. Most training programs cover the need-to-know and the nice-to-know information. Need-to-know data constitutes the center of the learning content and accomplishes the learning objectives of the program. Nice-to-know data alludes to the extra data learners find intriguing, yet not important to accomplish the learning goals. Give the need-to-know data as mobile learning modules containing how-to videos, or intuitive gamified components to supplement the learning in the classroom session. Going back to the example of the product demo, subsequent to presenting the highlights of the item, convey short recordings of how each component functions. You can also gauge the opinion of the learners during the classroom session by conducting online polls through their mobile phones. It is human to forget. Most learners forget over 70% of what they have learnt within the first 24 hours. On the other hand, organizations spend billions of dollars on training programs every year and they look for better ROI from such programs. Therefore, support is imperative. Provide digital resources of the imperative information taught in the classroom in the form of infographics, job-aids, etc., to enhance knowledge retention. This is especially true as mLearning can be used as performance support in the form of refresher courses. For example, after the classroom session, you could give infographics of the product highlights and videos of product use and administration. These are exceptionally helpful for reviewing data and providing just-in-time support to customers. Therefore, once the classroom training is finished, a course can be given to learners through mobile learning. These microlearning modules delivered on mobile devices enable learners to access the information learned during the classroom session, whenever they require a refresher. Blended learning is the best approach when it comes to helping learners learn, retain, and reinforce learning. Classroom training and mobile learning work in tandem to get the best results.